It’s official, I’m jumping on the smoothie bandwagon for the summer. It’s a balmy 81 degrees in Boston today, though my apartment feels a bit warmer. As the weather heats up nothing in my apartment seems appealing. Even less so if it means turning the oven on! I really like smoothies because in addition to cooling you down… all the ingredients are blended together… which means your body doesn’t have to do much work to break them down… which means you’ll stay even cooler 😉 A smoothie is perfect any time of the day too. I eat them for breakfast or as a pre/post gym snack. I have a few up my sleeve that I want to share, but this one seemed perfect for the weekend! 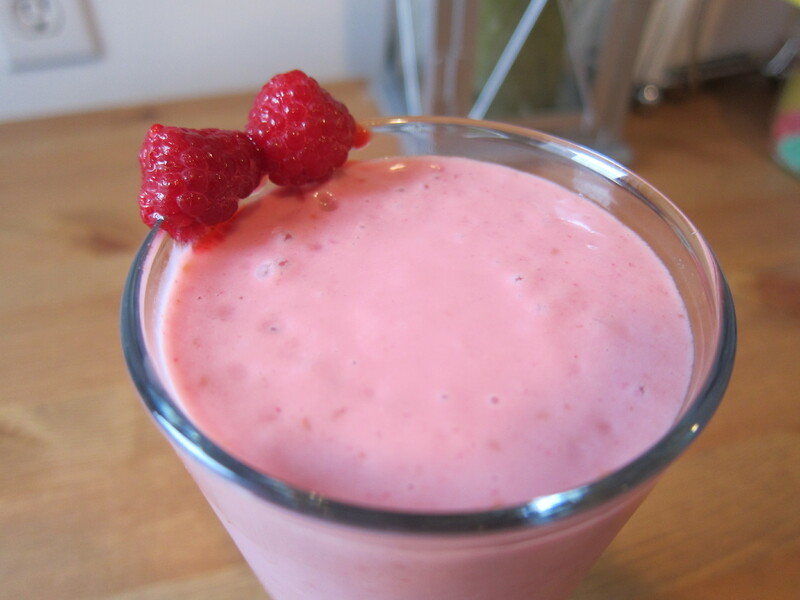 Combine milk and raspberries in a blender and blend until most of the raspberries are broken down. Add in the rest of the ingredients and blend until smooth.